Fuji has announced a new lens for their medium-format mirrorless GFX System. 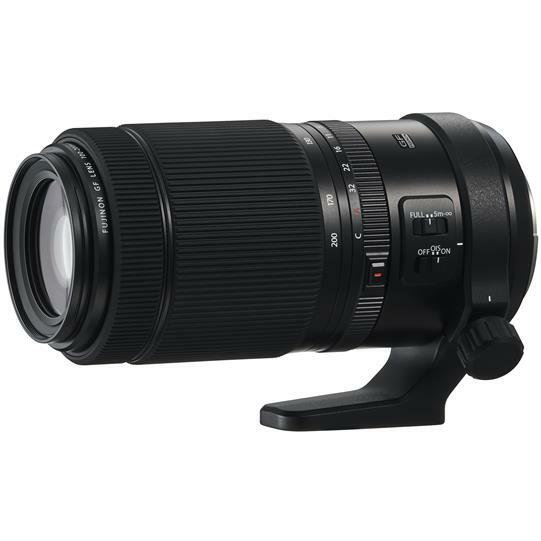 The 100-200mm f5.6 R LM OIS WR is the first telephoto zoom addition to the lineup. The lens is weather-sealed at ten different points, and features image stabilization CIPA-rated to five stops. Equivalent in 35mm full-frame format to 79-58mm, this is the eighth lens in the lineup and a welcome addition, particularly for outdoor landscape, travel, and wildlife photographers. It is also compatible with the GFX 1.4x teleconverter, which brings the focal length to a 140-280mm (full frame equivalent: 111-221mm). With a 9-blade aperture, and Fuji’s high standard of performance-quality optics, the lens is a great complement to the system, which added the GFX-50R camera late last year. The lens is expected in late February, and is available for pre-order now at $2599.99.